I’ll probably regret it but this year I’m making a couple of homemade gifts. I have a ton of empty baby food jars which I’ve cleaned out and I’m going to decorate. Here’s what I have so far! This one is actually an old Dolmio jar that I’ve washed out and I’ve put a belt and buckle to make it look like a Santa! I’m going to fill it with some soaps and give it to my Nain. 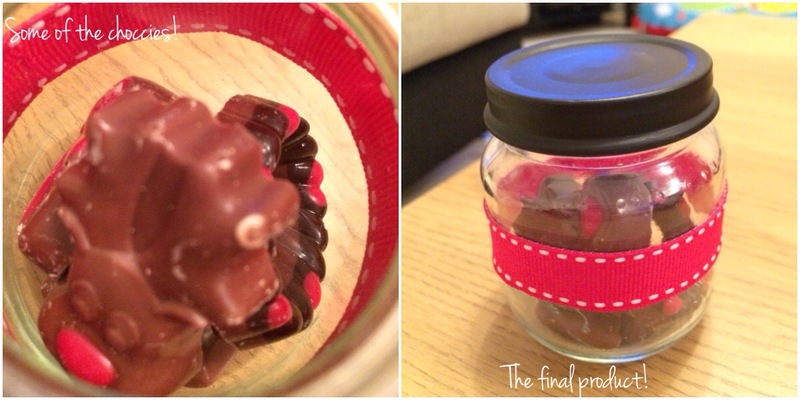 Then I’m putting some chocolates in the smaller jars and put some ribbon around it. Hubby has sprayed one of the lids black to see what it would look like and I think it looks quite well. Like I said, I have a ton of jars so I’ve ordered some candle wax and wicks and am going to turn some jars into scented candles to give to my friends. I’ll let you know how they turn out! It’s the first time I’ll have made candles so wish me luck! Have you been making any Christmas crafts? Home made gifts are the best! I always try to knit something for everyone, even just a little something! 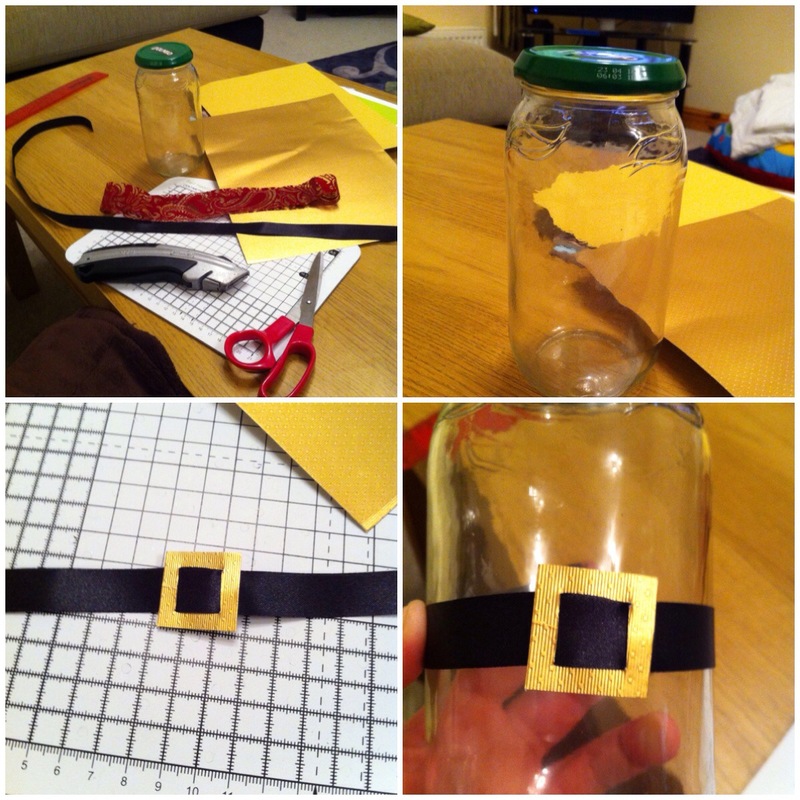 Love the Santa belt on the jar! I’m so behind on my blogging. I will link up to the Christmas outings post soon, then do one on my cards for this. Thank you…. unfortunelty the jar still stinks a bit so I’m going to fill it with soaps!! Should mask the smell! I’m also behind with blogging…. so I’m going to try and catch up with yours soon as well!